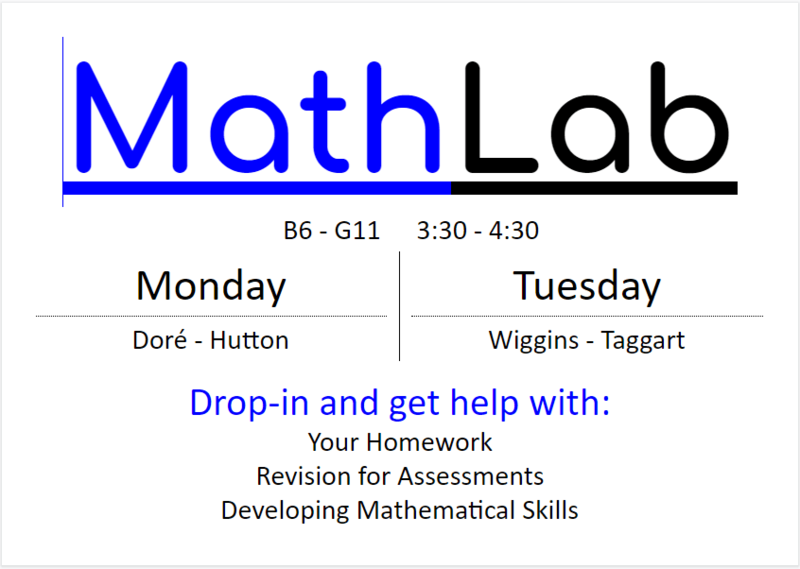 Mathlab is an opportunity for students to get teacher and peer support with mathematics. Mathematics is a complex learning endeavor and students are more efficient with their learning when they are able to ask questions and work with their teachers and peers to solve problems. Every Monday and Tuesday, students may drop-in after school from 3:30 – 4:30 in room B6-G11. Mathematics teachers will be available to support students with their homework, preparing for assessments, or learning mathematical skills. If these times do not work for you, you are always welcome to book a time with your teacher for additional help.